Identity, the condition of being oneself or itself and not another, is at the core of design and perhaps life itself. In a nutshell, design mirrors the designer. Our personal aesthetic reveals who we are, where we come from, our past, our present and our future. 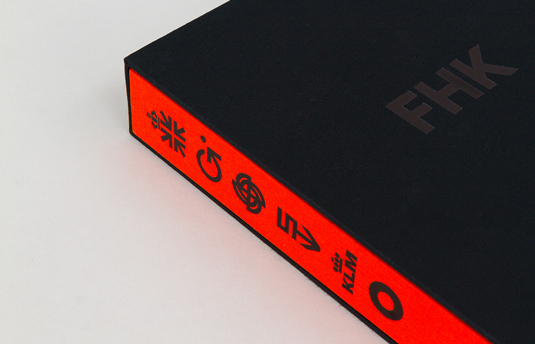 Design publisher Unit Editions’ latest book, FHK Henrion The Complete Designer, dives into the life and portfolio of one of Britain’s most influential designers in order to uncover the man behind the work. This biographical book not only celebrates Henrion’s life work but also reveals every designer’s struggle to find their own personal vision and hold onto it. Unit Editions Co-founder and author of ‘How to be a graphic designer without losing your soul‘, Adrian Shaughnessy shares his insight on identity, design and publishing. Q) Tell us a bit about Unit Editions. Unit Editions was formed nearly five years ago by Tony Brook, Trish Finegan and me. We got together because we loved books and books about design, and because we’d had bad experiences working with mainstream publishers. Actually, it’s not the publishers that are the problem. They are at the mercy of the book retailers and the book trade, who take a very narrow view about the books they stock and distribute. We discovered that by using the internet we could bypass the book trade and speak directly to the people who were likely to be interested in our books. For example, take our book on Total Design. It’s highly unlikely that the book buyer for one of the chains probably will have heard of Total Design (why should they), so naturally they will be reluctant to stock it. 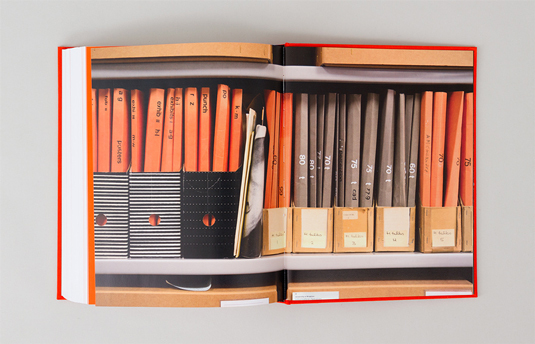 And even if they decide to take a few copies, how many Total Design fans will find it and buy it? But, by telling the worldwide design community about the book’s existence via blogs and social media, we easily found the 2000 people who are interested in Total Design and sold every copy we produced. Copies were shipped all over the world – Australia, Romania, Argentina. There is simply no way that the buyers of this book could have found us without the internet. We are a book publisher and we sell 90% of our books online. Q) So you’re a writer, lecturer, designer and publisher. Did we miss anything? Cyclist, maybe? I call myself an art and culture zealot. By this I mean that all my interests tend to revolve around visual art, literature, music, cinema, and of course, graphic design. 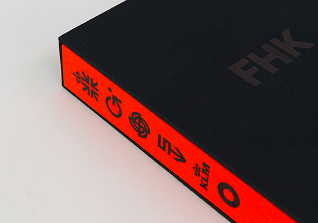 Q) You’ve recently written FHK Henrion The Complete Designer, what inspired you to immerse yourself in his identity? My publishing partner Tony had been talking to Marion Wesel-Henrion, Henrion’s widow, about the book for a couple of years. Tony was a fan, especially of Henrion’s later identity work. I was an admirer of his work, but I only had a vague idea of the extent of his output. It didn’t take me long, however, to come to the conclusion that Henrion is the single most important figure in British graphic design history. 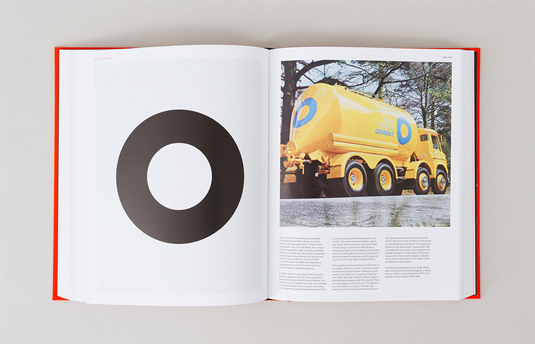 Q) When writing this book, was it difficult to separate the man from the designer? Or are the two invariably linked? In the case of Henrion the man and the designer are most definitely linked. But this is often true of designers and people who work in the creative industries. We have the good luck to be doing the job we most want to do, therefore there is no need to be one person at work, and another in your private life. Q) What’s the most interesting thing you’ve learned while writing this book? I learned two things about Henrion, both of equal importance. The first was that, as I’ve already said, I believe he was the most important British (although German born) graphic designer ever. No one else comes close to having his range of accomplishments. He was a product designer, poster artist, advertising man, identity designer, writer, educator, design activist, and he did more than any other British practitioner to help create the model of the modern professional graphic designer. Henrion began his working life in Britain as a traditional poster artist before and during WWII. 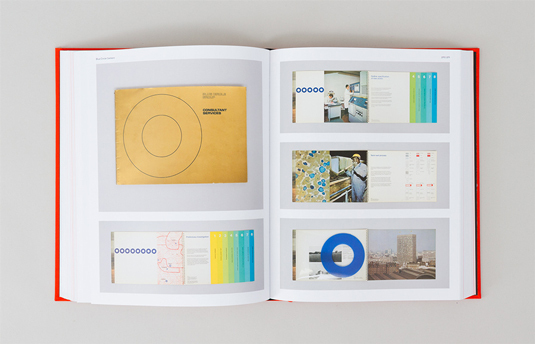 Later, he changed and became an uber-professional identity designer working for big business. Before Henrion, design was a cottage industry, but thanks to the trail he blazed, design became highly professionalised and also highly lucrative. So much so, in fact, that in the 1980s design groups became rich, and some even launched on the Stock Exchange. But here’s where the second interesting thing about Henrion is found. In the last decade of his life (he died in 1990) he rejected the 80s’ view of design as being about money and promoting big business: instead he advocated design’s social responsibilities and the importance of education. In this respect he was highly unusual. It’s hard to imagine the heads of the big design groups of the 80s and 90s designing posters for CND. But Henrion did. Q) You’ve written several biographical books following designers and their life’s work, how do you pick your subjects? What inspires you about each designer? Do they all have something in common? It usually starts as a chance encounter and then develops into something that I become obsessed about. 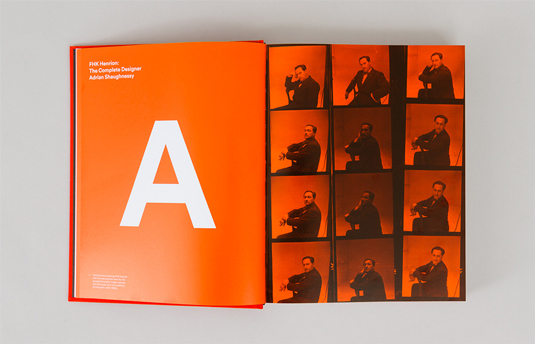 In the case of Herb Lubalin it was Tony’s enthusiasm that got the project off the ground. He was a big fan. I was very familiar with Lubalin’s work, but I can’t say I was a fan, and I had a fairly low opinion of him as a designer. I thought he was a bit of a fuddy-duddy. Yet by immersing myself in his life and work, I came to see him as a much more original and individualistic figure than I imagined. In the case of Ken Garland, I was already a fully paid-up admirer, and when I heard on the grapevine that a planned Garland monograph had fallen through, I contacted him and he said yes. Q) As human beings, we often define ourselves by our practice or occupation. How do you define yourself or your writing subjects? Over the years I’ve moved from being a graphic designer to a designer and writer. This is to do with a frustration I experienced while working as a graphic designer: I think graphic design is hugely important and can make a truly valuable contribution to society and culture, but personally I became frustrated with always having to work with other peoples’ messages and content. I wanted to create my own messages and my own content, and the only way I could do this was to become a writer – and ultimately a publisher. Q) As designers, our personal aesthetics and ambitions are often (if not always) very personal. How does this influence you? This takes us to the heart of what it means to be a designer. We choose the profession – or craft – of graphic design because we have a personal aesthetic vision. It’s rare to find a designer, no matter how professionally-minded, who doesn’t care what typeface, colours or forms they use. These ‘preferences’ are hardwired into us, and we want to see them manifested in our work. But the first thing we encounter when he we start working professionally is that clients demand objectivity and rationality. They are generally not interested in our personal aesthetic vision. And it is how we deal with this paradox at the heart of design that defines what sort of designer we become. 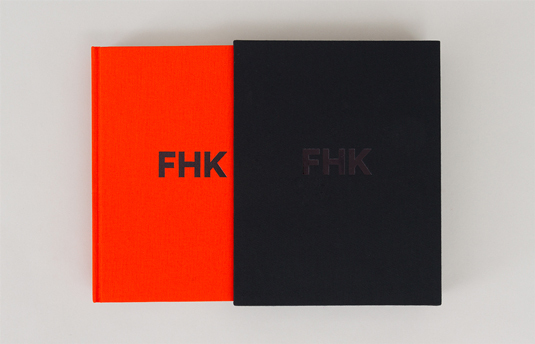 Q) How has the design of the book FHK reflected the man himself? Tony was responsible for the book’s design. He shares with Henrion a non-doctrinaire taste for modernism. So I would suggest that there is a strong affinity there. My role was to see that text and image were properly integrated. Henrion was a master of this – so I hope this aspect of the book reflects his values. Q) Finding your own visual identity is an important part of being a designer. Do you have any advice for designers who are currently trying to separate themselves from the crowd? Ah, the holy grail of design – standing out from the crowd. Well, the only way to achieve this is to make sure that ‘standing out from the crowd’ it is NOT your goal. The only way to stand out is to do work that answers the brief in a visionary and effective way. And you can only do this by total immersion in your craft and in the objectives of the brief. All the great work we see – the stuff that really stands out – was never done to merely ‘stand out.’ It was done for entirely rational and objective reasons.